With a fantastic location in Hoover, Birmingham’s bustling business community, this centre is situated in a Class A Mid-Rise Office Building. It offers clients multiple benefits including a huge range of luxurious executive suites, an outside seating area / terrace, on-site catering and generous free parking. In close proximity to I-459 and I-65, this building is also within easy reach of several upscale hotels, trendy restaurants and shopping centres. 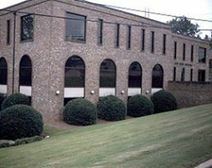 Boasting a prime location in Hoover’s business hub, this building offers a complete office package. Featuring all of the conveniences of modern technology, it also benefits from close proximity to I-65 and US 31. This property affords clients a relaxing, stress-free environment and easy access to Birmingham’s wide range of shopping centres, hotels and restaurants. This center provides high-quality office space overlooking pleasant landscaping with plenty of car parking. This is a strategic location, providing easy access to highways and Messer airport. A number of large firms have made this business park their home. This property is ideally situated in the middle of Birmingham’s professional centre, with excellent links to Highway 280, I-65 and I-459. It is a premier executive suite that comes fully equipped with a range of services including a complete support team, state-of-the-art video conferencing and AV facilities, high speed internet and office spaces are available both furnished and unfurnished. These offices offer clients a professional, modern business environment with the added benefit of close proximity to a golf course, health club, shopping mall and an abundance of fine dining. In a city that is home to over 40,000 businesses and home to one of the nation's largest banking centers and innovative financial districts, this incredible business center is set within in the heart of downtown Birmingham within a 34-storey Class A landmark office tower. In addition to the number of fantastic workspace provisions and the range of space types available to occupants on-site, the center also benefits from excellent transport links. A chic stone and glass building with a balanced mix of traditional and modern features, this property is located in the prime booming business district of Birmingham. Facilities on offer include the convenience and luxury of a four-storey atrium, large and airy day offices and its own outdoor terrace. This striking property is only minutes’ away from an abundance of hotels, fine dining establishments, boutiques, shopping centres and entertainment venues. Offering stunning views of Birmingham city and the Red Mountains this elegant marble office building benefits from an exclusive reception area, modern furnished offices and handsome executive suites. This flexible, luxurious property is only minutes’ away from entertainment, fine dining and hotel establishments and is easily accessible to clients, with excellent transport links to Highway 280 and the surrounding area.